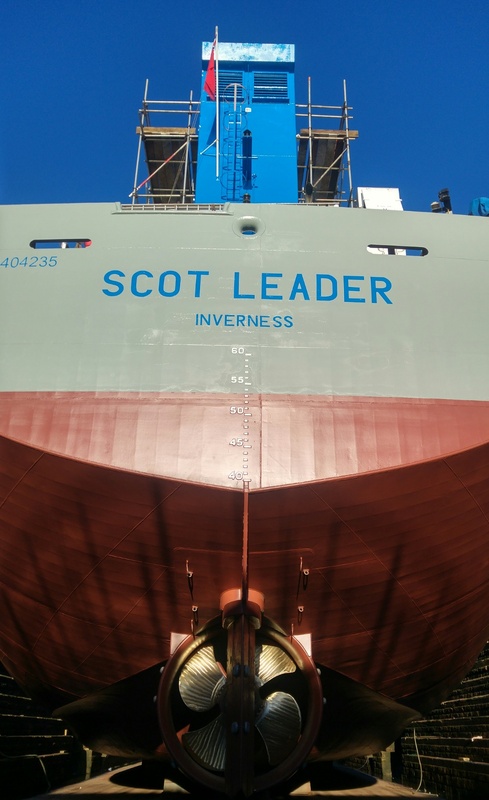 Scotline are pleased to welcome the Scot Leader to our fleet. Scotline have recently added a new lady to our fleet having taken on the Scot Leader, ex-Odertal. She is similar to our Scot Trader at around 4500 DWT. She’ll be flying under the British Flag. 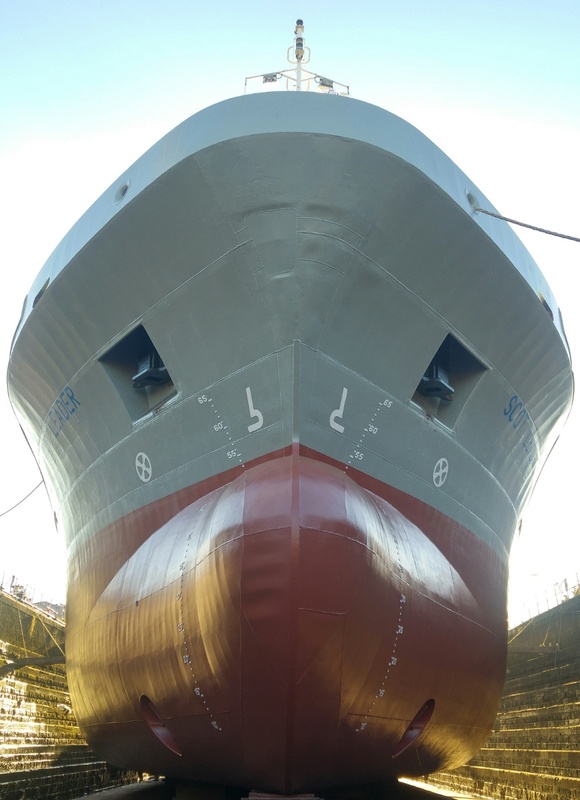 What the Leader brings to our fleet is not only a second vessel with a deadweight around 4500 tonnes, but equally importantly is her high cubics, holding 6,360 cubic metres in her single hold. For a full specification have a look at her details here. A full pdf can also be seen there showing more details and the particulars of her hold. She is just completing her dry docking this week and will be ready for service soon, looking stunning in the Scotline livery and ready to work. Thanks must go to our superintendents Mark and John and everyone else involved for getting her up to such a high standard so quickly.